I have gotten use to using github's wiki for documenting devopy things over the last few years at work. Github's wiki is Gollum, but with some tweaks. I want to tweak my install of Gollum to match, as best I can, github's look and feel. With that in mind the next thing on my plate to change is the emojis. You can see that the icon images are not exactly the same. 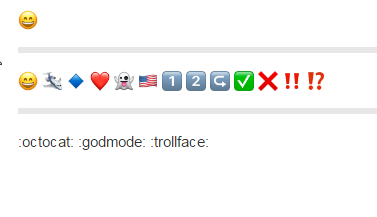 I am glad that emojis work in Gollum out of the box, but I want the images to match exactly. Where are the emojis in Gollum in the first place? 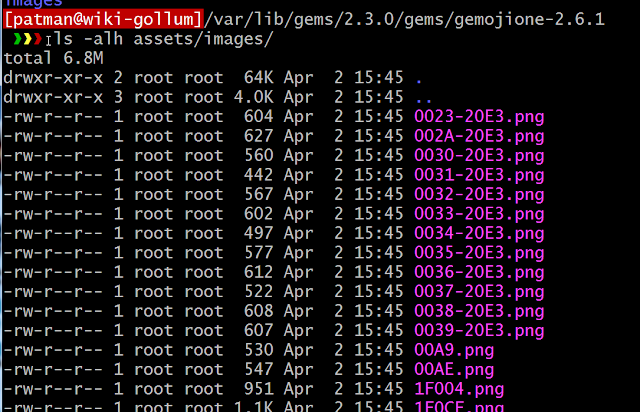 Go to your gems directory. 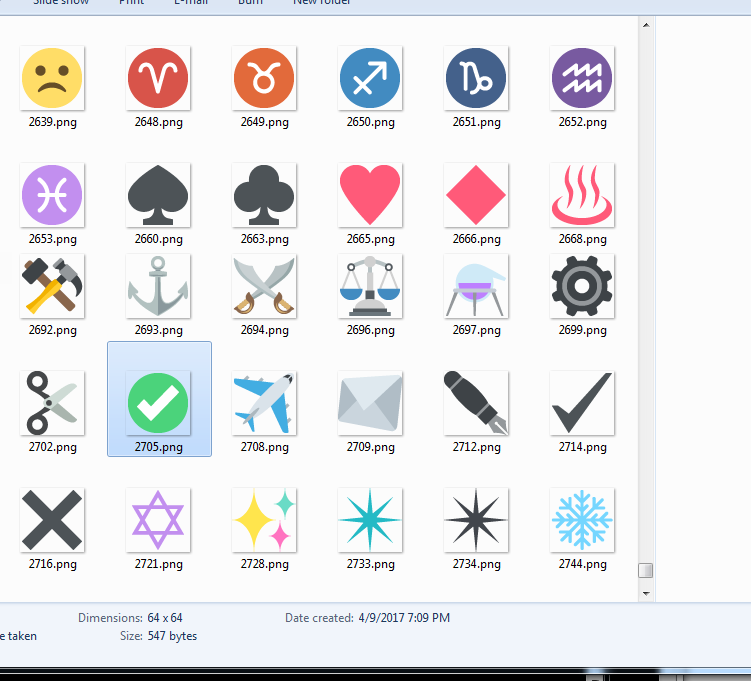 In that directory the is an assets directory looking in there I see an images directory that seems to contain the emoji images. 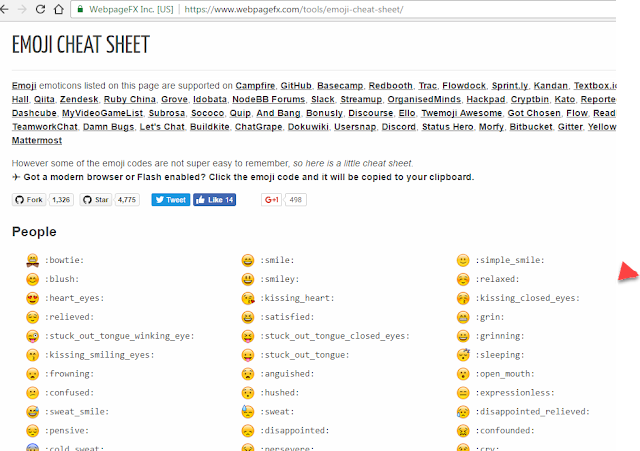 Now why the funny names why 2705.png rather than white_check_mark? > curl https://api.github.com/emojis | jq . 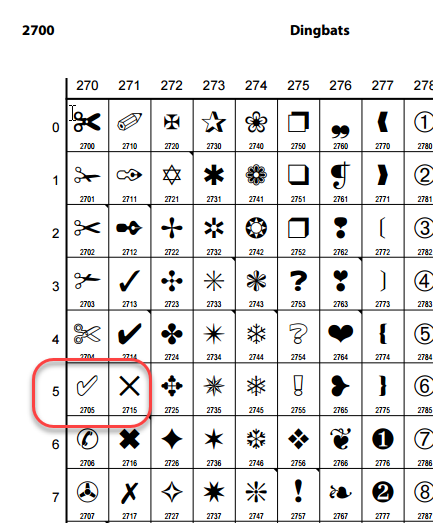 Hey look Unicode friendly addresses for icons. 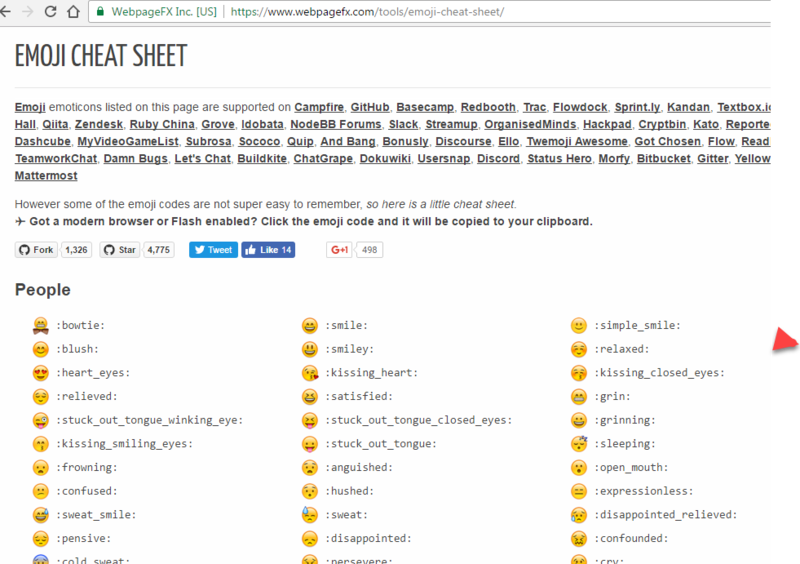 Create an images directory here. Now write a simple python script to download all the images. Then make it executable and run it. Not the most efficient method, but it works and you really only need to do it once. There is ~ 1500 images so it take a few min. OK can I safely use these to replace the ones being used by gemoji? 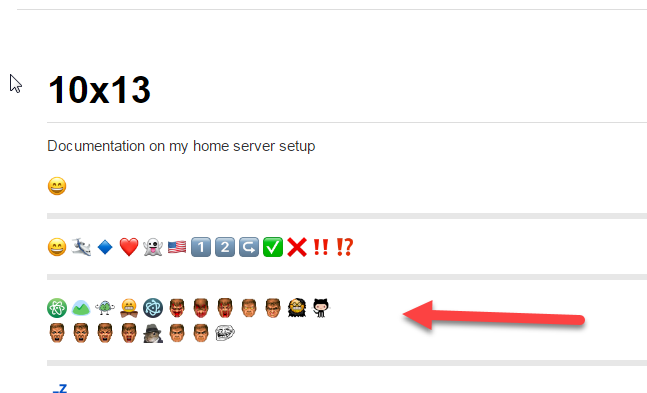 > sudo cp ~/emojis/images/* . Looking at the files compared to the originals I think I found the issue. The new ones are lower case and it should be upper case. As a quick proof let me rename one. Let me go back and tweak the python script to name things correctly. 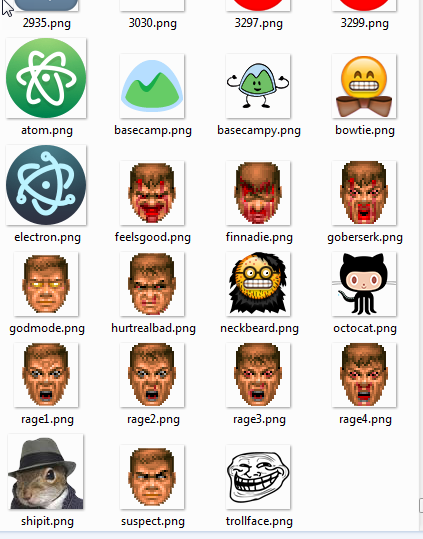 Github does have a few extra emoji images. Most of these I do not use but I do want to add them anyway. 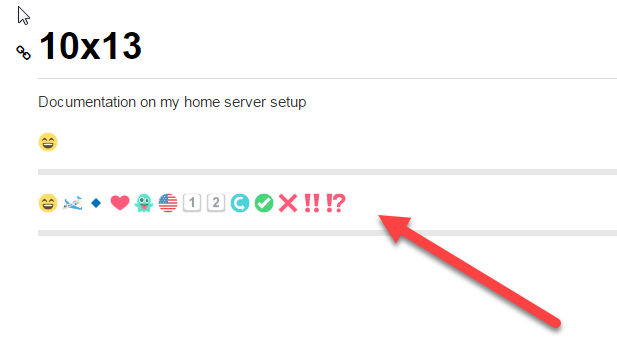 You need to add additional section to this json file like this. Here is the portion I added to the bottom of the document. Save the file then restart Gollum! 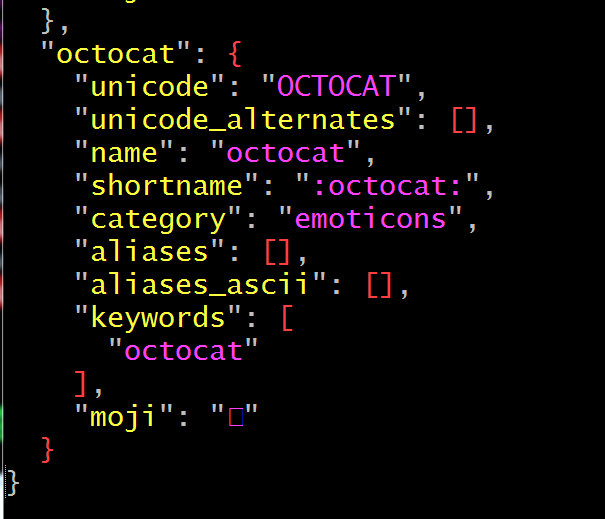 Hey Look I have them all now, even an octocat.